The D-Day Story is the only museum in the UK solely dedicated to exploring all aspects of the D-Day landings in Normandy, France on 6 June 1944. This significant historical moment was the turning point in the Second World War and was the vital step leading to Allied victory. With the 75th anniversary of one of the greatest military operations in Western European history on the horizon, Portsmouth City Council has undertaken a huge transformation of the exhibitions in the Museum. 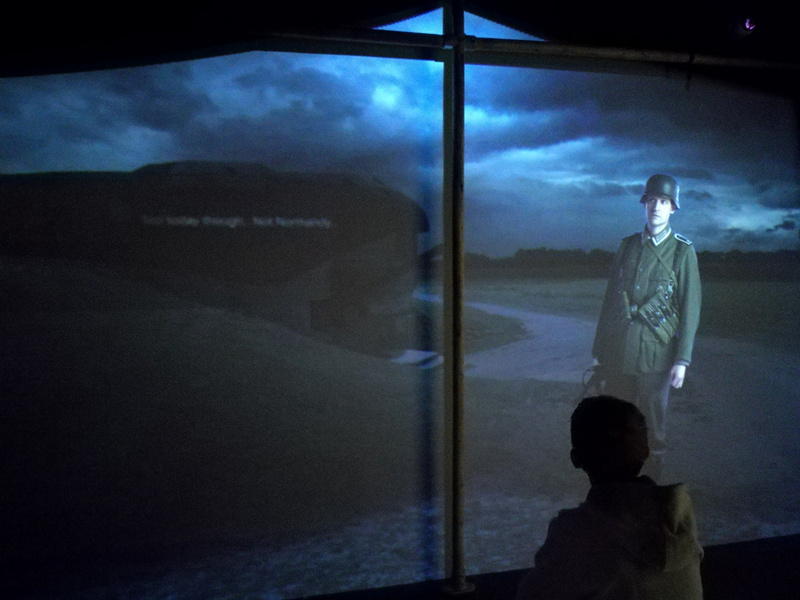 The scale, drama and human side of D-Day story and the battle of Normandy is conveyed through radical new layouts and innovative displays that incite a greater understanding, whilst seizing the last opportunity to record first hand experiences of the countless brave men and women involved. Set across seven zones, each has been enlivened by audio and visual constructs that are devised to recount factual and emotional accounts. 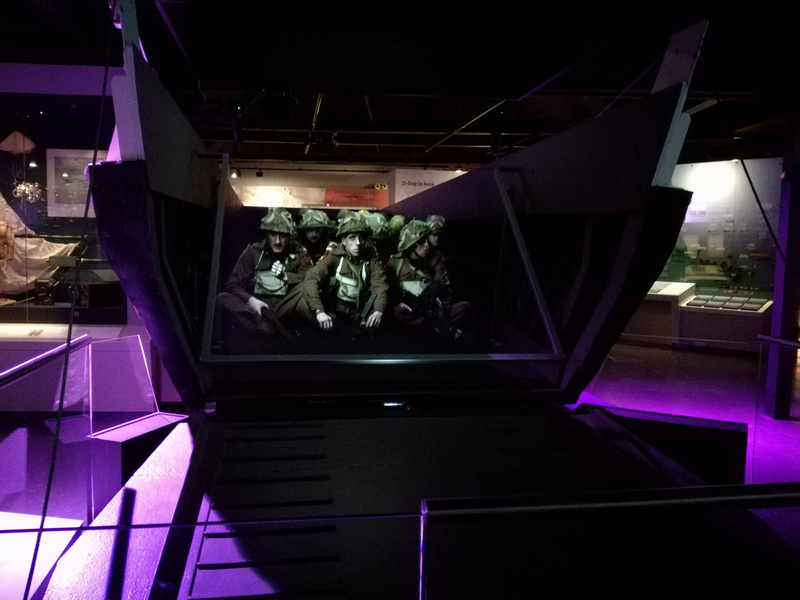 One of the exhibition highlights includes D-Day Landings which confronts visitors with a pepper’s ghost illusion with soldiers seated within an original landing craft waiting to hit the beach. The merging of projected image and real life craft provides an authentic glimpse into the dramatic scene that would soon unfold. Accompanied by audio soundtrack, the internal monologues of the men on board can be heard as they travel the seas. This re-enacted episode transfers visitors to the time and location itself with a true realism that creates a relatable encounter. 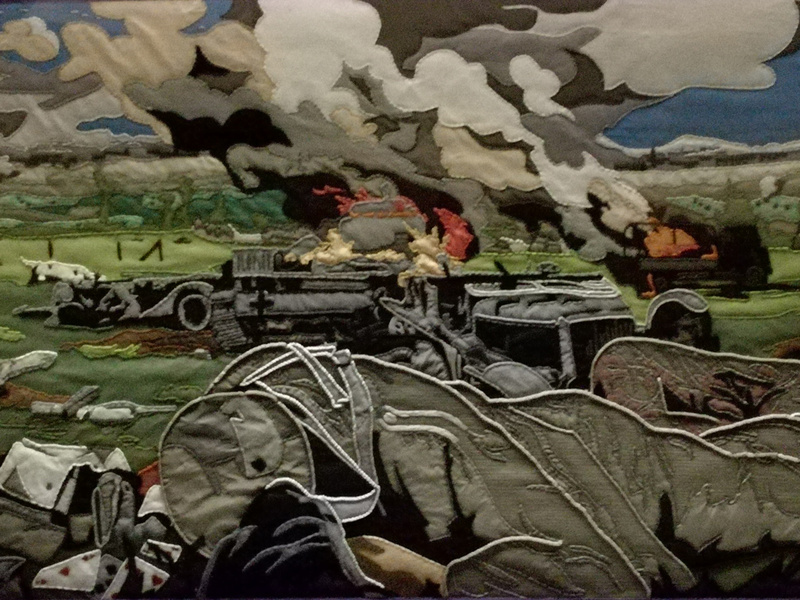 As part of the D-Day exhibition, additional displays devoted to the Overlord Embroidery allow visitors to view this magnificent centrepiece in its entirety. Commissioned by Lord Dulverton of Batsford in 1968, this 83m long masterpieces comprises of 34 panels each of which shares a different part of the D-Day proceedings as a tribute to the sacrifice and heroism of those who took part. In the surrounding space, touchscreen displays enable visitors to select from different interview recordings where they can listen to harrowing anecdotes from those lucky enough to survive. These portals offer a rare glimpse into the sacrifice and suffering of just a handful of soldiers, with their tragic memories echoing across the backdrop of the embroidered scenery behind. The audiovisual elements successfully support the translation of D-Day into a tangible experience that informs, educates and commemorates the countless heroic men and women who fought for this country. Media provided by ay-pe creatively captures visitors’ attention, sharing key facts and details in a captivating format that offers engaging insight into the series of military actions surrounding the D-Day event. Working collaboratively with Studio MB enabled a unification of ideas that would relay the story in a way that is sensitive and meaningful to modern audiences. Audiovisual technology, layers these chronicles with animated content that enhance and amplify the narrative woven throughout. Setworks provided by SharmanShaw house the various audio and visual exhibits, successfully intertwining them with the objects and archival materials to deliver a seamless experience that is inspiring and provocative.